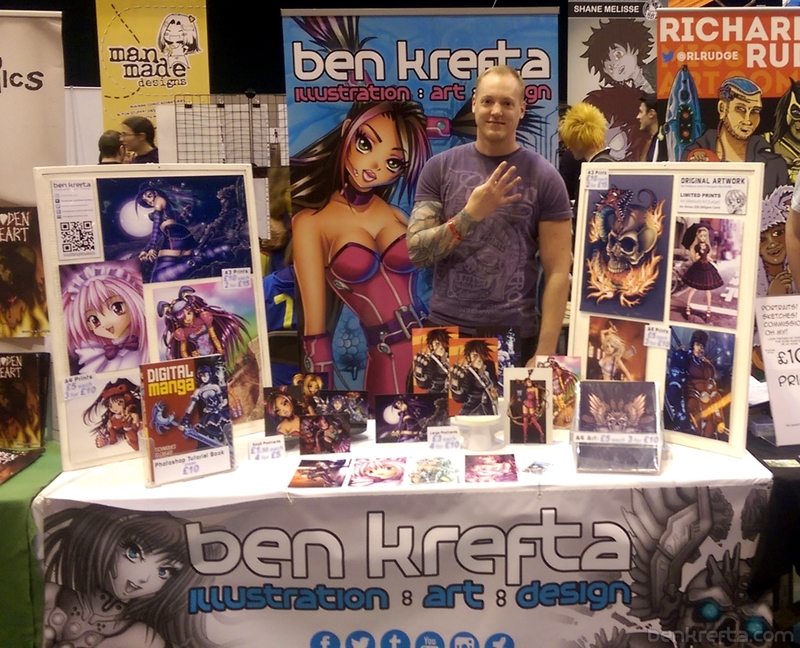 The 4th comic convention on my circuit in Telford, West Midlands has come to an end. I enjoyed it- met some great people and received some awesome comments about my work. Means a lot. Dealing with insomnia during a busy weekend event doesn’t help matters, but I’m glad everything went smoothly. Right now I’m in the middle of checking and amending proofs for my latest book, ‘The Artist’s Guide to Drawing Manga’. It’s looking nice, and hopefully will be available for sale in the coming month or two once it goes to print.